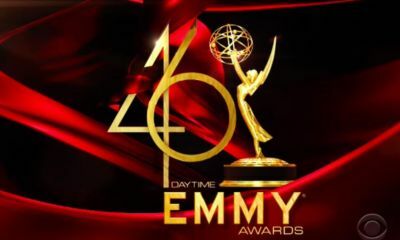 Broadcasting & Cable released this afternoon the viewership numbers for the 39th annual Daytime Emmy Awards which were telecast this past Saturday for the first time by cable network, HLN. Of course, the tune-in number dropped off considerably with the Daytime Emmys move to cable this year, drawing just 912,000 total viewers to its premiere telecast on Saturday from 8-10 p.m. on HLN. Last year’s awards ceremony, which aired on CBS, averaged 5.35 million total viewers on Sunday June 19th, 2011. Besides the move from broadcast to cable, the telecast was also hurt by the move to Saturdays, when HUT levels are much lower than on Sundays. The HLN Daytime Emmy telecast drew 327,000 viewers in the target adults 25-54 demo, though it still ranked as the network’s most-watched regularly scheduled non-news broadcast in total viewers and the demo. The cabler aired the awards ceremony five times in primetime over Saturday and Sunday, earning a gross average audience of 2 million viewers. 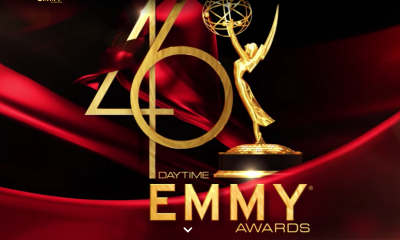 Plans to televise this year’s Daytime Emmys were finalized rather last-minute with HLN signing on as the TV partner for NATAS in May. So do you think HLN will consider carrying the telecast next year? Let us know! There were a lot of questionable emmys given out, But at least HLN put it on their network for that I am grateful. I never thought of that but your right, Why would Shawn get a nomination and Steve burton not, I think there are to many Idiots making the decisions on who gets the awards and who doesn’t, they did get it right for general hospital. They were wrong about neglecting one life to live. And Susan lucci should go hide in shame, what a camera hog that woman is. Abysmal ratings, in my book. Maybe it was that terrible music! Maybe it was the lack of an actual tribute to AMC and OLTL. I know several people who stopped watching it after it started. It was terribly produced. OMG, yes the music was beyond terrible. Also the camera crew would go to the audience and pan in on anyone but never showed any of the stars. I didn’t know who was there and who wasn’t because I never saw any stars unless they gave out an award or won an Emmy. The tribute was bad and no clips at all and the clips used for some shows were from 10 years ago (OLTL for directing for sure). All in all it was a pretty good show. However the so-called tribute was terrible. 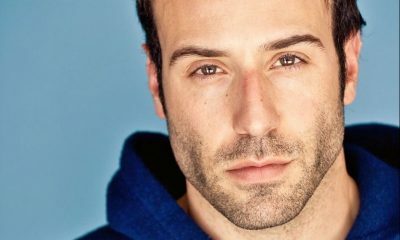 It should not have been all about Susan Lucci but about all the soaps. Erika Slezak looked uncomfortable. Why ABC’s version of Ryan Seacrest was there to say thank you still baffles me. I also wish HLN played the theme music from the winning shows instead of the ringtone used. Hopefully if HLN hosts the Emmys next year they will tweak it a bit. What kind of numbers did they expect. Just like you said, it was a Saturday night, most people aren’t home on a Saturday night! Also, I know people who don’t get HLN. It is NOT a standard channel on all cable networks. Considering they had only 3 weeks to produce the show, I thought it was a decent production except the canned music and the lack of a true tribute to OLTL and AMC. More like a tribute to Susan LUcci and Erica Kane! Ugh! Love the comment about ABC’s “Ryan Seacrest”. Mathison is all over like you know what! I think he and Lucci definately made a deal with the devil over at ABC. Felt very bad for Erica Slezak. She was totally overlooked. Lucci didn’t give up that microphone for a second. Ms. Slezak had to awkwardly lean over to say her very few words. I think HLN needs to be commended for airing the show and making such a concerted effort to embrace the soap fans. They featured stars on their nightly “Showbiz Tonight” for the week leading into the Emmys and featured the soaps on the homepage of their website. So, could it have been better? Yes. But all things considered, kudos to HLN for their efforts. It’s more than I can say for any of the other channels, including OWN. This year’s presentation was a vast improvement over last years’ 2 hour long commercial for Las Vegas. You said it well here, Judy. I agree with you on all points. The Emmy organization, I think, needs to be stronger and more proactive with how they run and promote their annual awards. Daytime is more than only its serialized dramas and even those shows got short shrift. The soaps shine, however, and this year they had opportunity more than in recent broadcasts. If it was HLN’s most-watched non-news program, they would be crazy not to do it again next year, especially when the network is attempting to reinvent itself beyond just news. So 327,000 viewers were in the target adults 25-54 demo? It’s funny how almost 600,000 viewers, the majority, don’t seem to matter if they are not in the targeted demo. What’s so special about being 25-54 years old that justifies writing off the majority outside of this group? I really am pissed.We know alot more watched.Neilsen is still figuring from the 70’s.Neilsen is not a friend to soaps either.Known fact they have more boxes in the 18 to 34 year old group.If your a certain age your not even counted.Things need to change and people need to start raising hell because to many shows are being cancelled over Neilsen. Your right Mary, If you are 54 and older you are screwed, and most of the time I don’t even see the 54 year olds even getting counted, and that is wrong. How they do the ratings should be changed. I agree with you barbara t,(loves oltl #1)…………….It should be 40-60 ….